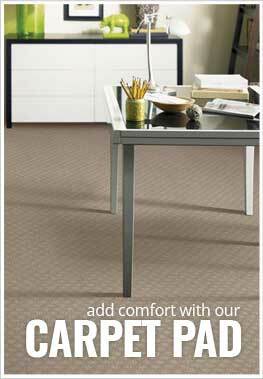 Description - Shaw's Defined Beauty carpeting adds a dramatic and geometric effect to any space in need of some styling. Part of the Life Happens collection, this unique and beautiful carpet is 100% waterproof and worry proof. Made in the USA, this durable floor is the perfect addition for any space. Face Weight - 39 oz./sq.yd. Recommended Uses - Defined Beauty carpet has been successfully used throughout the home, in bedrooms, offices, dens, libraries, basements, and more. 100% waterproof and worry proof. Beautiful pattern and attractive color options. Durable and Made in the USA. Shaw's line of waterproof carpet is pet and family friendly. However, we do not cut and bind the carpet for use as an area rug. You could most certainly do that if you choose.